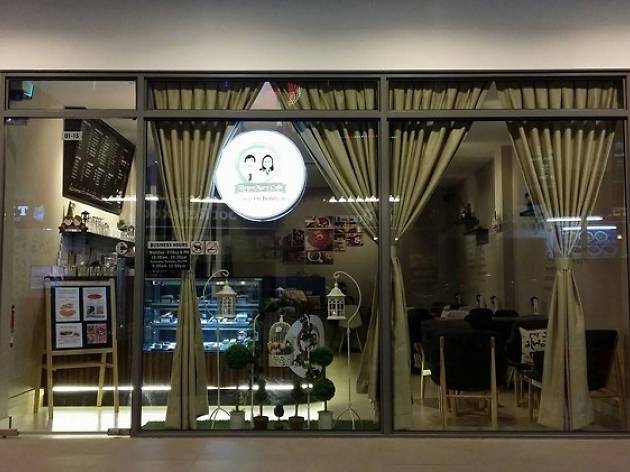 This minimally decorated, cutesy cafe with a tiny faux turf garden in the front serves the Sembawang neighbourhood. 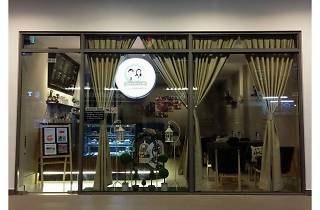 The cake signatures here include chocolate truffle cake ($8.50) they call Precious Romance, the Journey of Love ($8.50) – a lemon tart served with fresh fruit – and heart-shaped macarons in flavours like yuzu, rose and matcha ($2.80). To drink, pick from an huge menu of coffee, matcha and chocolate drinks like the Rose To You ($7.50) with coriander and rose in the mix, matcha caramel latte ($6.30) and iced chocolate hazelnut ($7.50).